All event proceeds will be donated to organizations supporting the rights of children. 80% will go to FRIEDENSDORF INTERNATIONAL, an organization in Germany working to heal the physical and psychological wounds of children affected by war. 10% will go to ACE (Action against Child Exploitation), a Japan-based organization working for the rights of children both domestically and overseas. 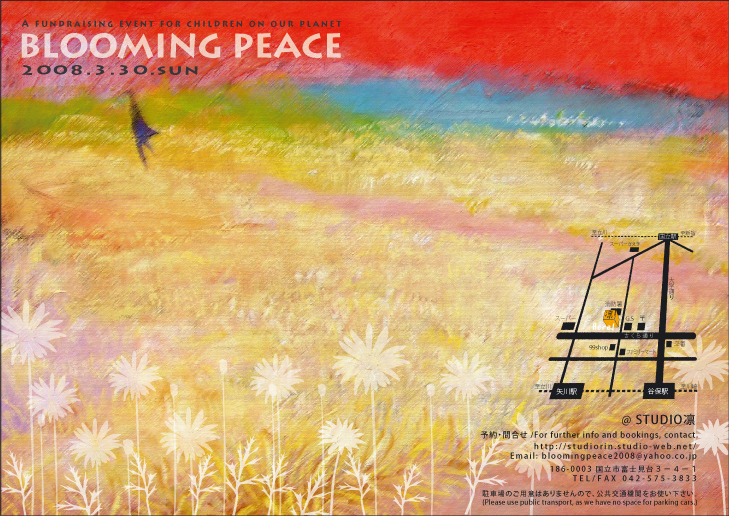 10% will go to the Peace On NPO to benefit Iraqi children in need.